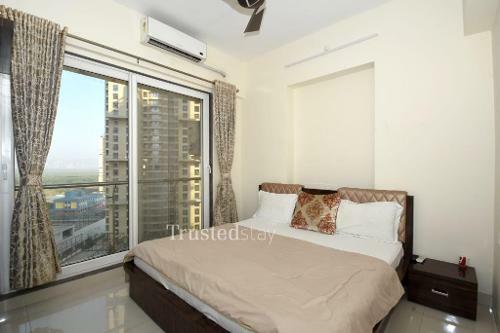 This service apartment in Kopar Khairane, Navi Mumbai is on Station road, Bonkode area, close Thane Belapur highway, about 3.2 kms from Dhirubhai Ambani Knowledge city, about 16.7 kms from IIT Mumbai and about 26.3 kms from Chhatrapati Shivaji International Airport. 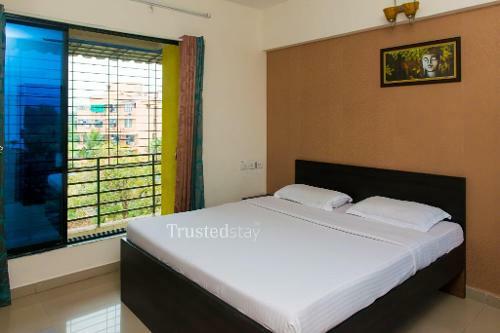 There are couple of Fine dine restaurants nearby to this service apartment like, Smoking Pizza is just 500 m away, Ashwith Family Dining Bar is 700 m away and Bhagat Tarachand, compact chain for Veggie Indian cuisine restaurant is 1.5 kms away. 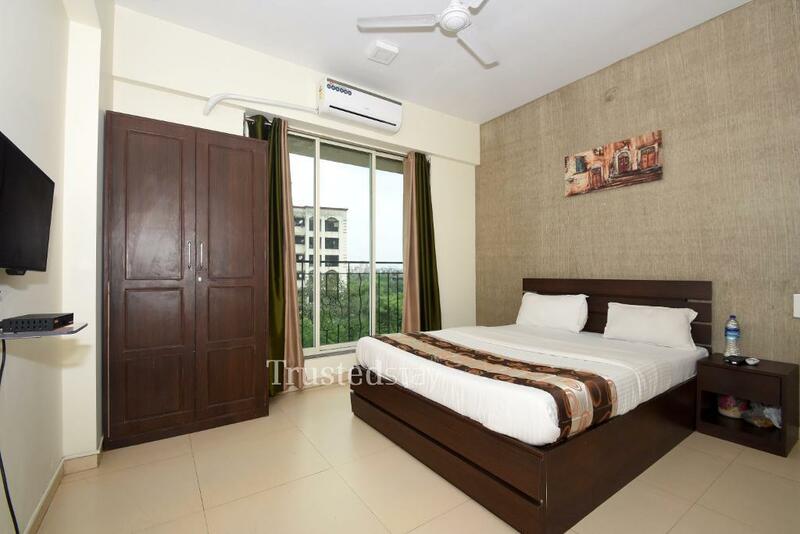 This service apartment is standalone building, offers total 28 rooms from fourteen 2BHK units, all rooms are fully furnished with AC, LCD TV and attached bath room, and independent units offers fully equipped kitchen, ideal for corporate and family stay, either for short or long stay. 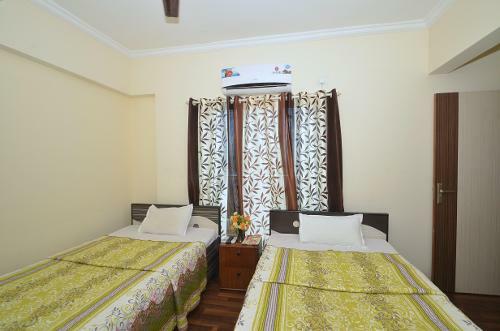 There is a fully functional in house kitchen, manned by our own cook, who prepares and serves breakfast and meals to the guest.